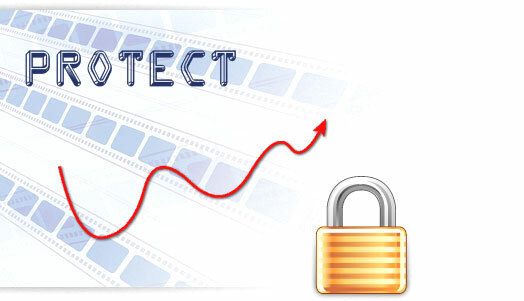 WonderFox Video Watermark focus on protecting and watermarking your video file. Did you worried your video will be unauthorized using and sharing, When people watching your video, do you want to let viewers know the video's source? You may need to add identity and ownership information to your video, ensure that viewers know the source. WonderFox Video Watermark can help you to do that. 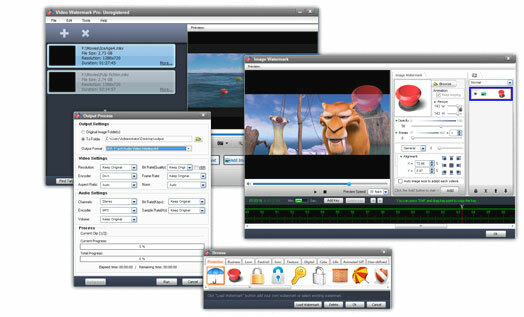 Video Watermark allows you to embed text, image, logo, sign (include animated) to your video in batch mode. Video Watermark has simple operation, friendly interface and high speed process, so the processing of watermarking becomes very easy and fast. You can finish it with few clicks,and you do not need waiting long time, it is an excellent solution to protect and annotate your video. Usually watermark contains text watermark, image watermark and shape watermark. Text watermark is your name, signature or any words that you can make some text effect on it. Image watermark is the most widely used way of watermark, such as your logo, avatar, company logo, etc. The shape watermark is geometry shape like arrow, curve, rectangle, ellipse, etc. WonderFox Video Watermark let you put your watermark on your video, the watermark will protect your video when the visitor browsing or downloading your video. I suggest make watermark on it if you share video on internet. WonderFox Video Watermark allow you make dynamic watermark on your video, the time editing a simple way to set animation. For example: Set a key point on third second and set the opacity=100% , then set another key on eighth second and set the opaticy=0%, you will see the watermark gradually disappearing from third second to eighth second. WonderFox Video Watermark support conveting between two popular videos, includes AVI, MPG, MP4, WMV, MKV, MOV, RM, 3GP, FLV, SWF, VCD and DVD, also support converting HD video. Flexible parameter settings - The default value is suitable parameter for each format, you can also change any parameters for your needs. WonderFox Video Watermark provide batch mode for watermarking your videos this feature will save 90% of the time for adding watermrk to lot of videos. 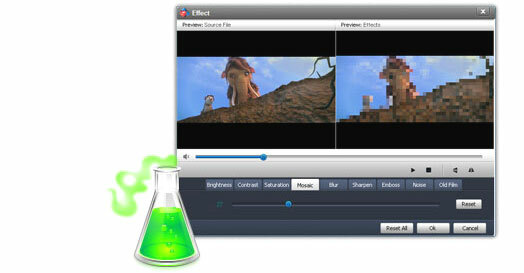 Powerful codec let you convert all videos. Free updates life time always. "Download and install successfully. It’s a very convenient video tool to add watermark on my personal video. Thx"
"Tested and converted my first movie clip with a logo I added. It works like a charm !!!"